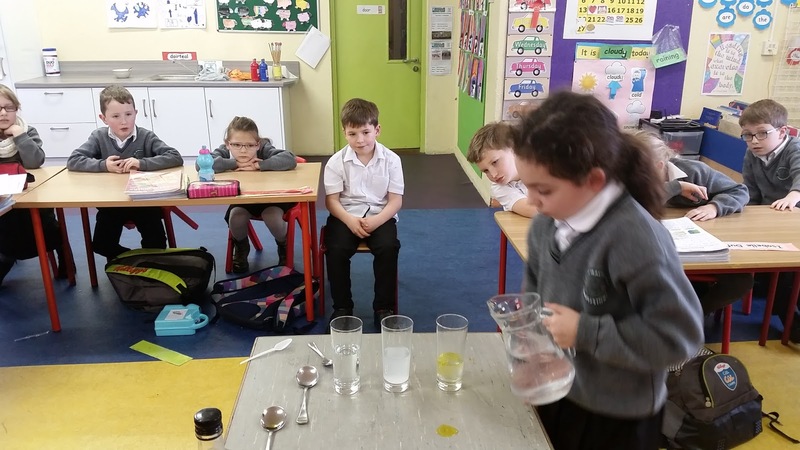 We were talking about the word 'mixing' this week and brainstormed words like baking, sauce, drinks, spoon, ingredients etc. We looked at the colour wheel and the primary colours and experimented with paint to see what happens when we mix them. 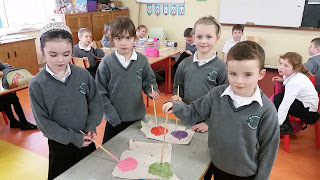 We made new colours and learned that these are called secondary colours. 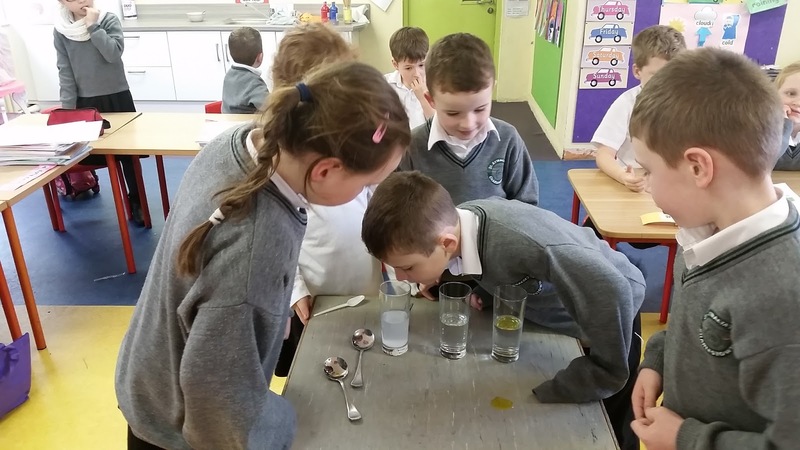 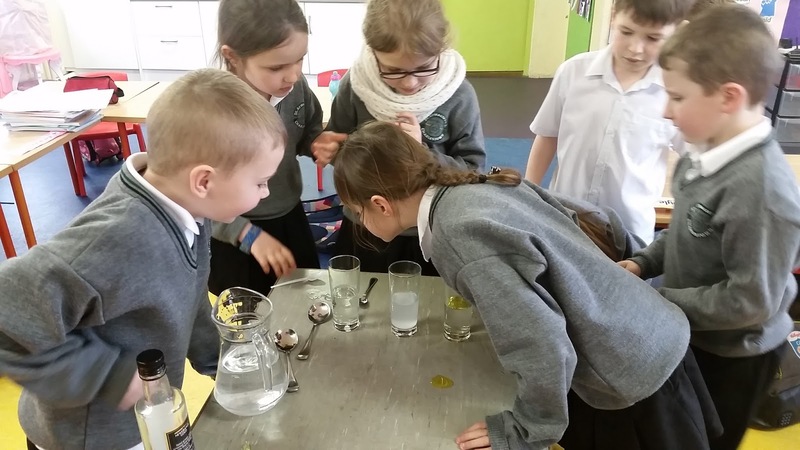 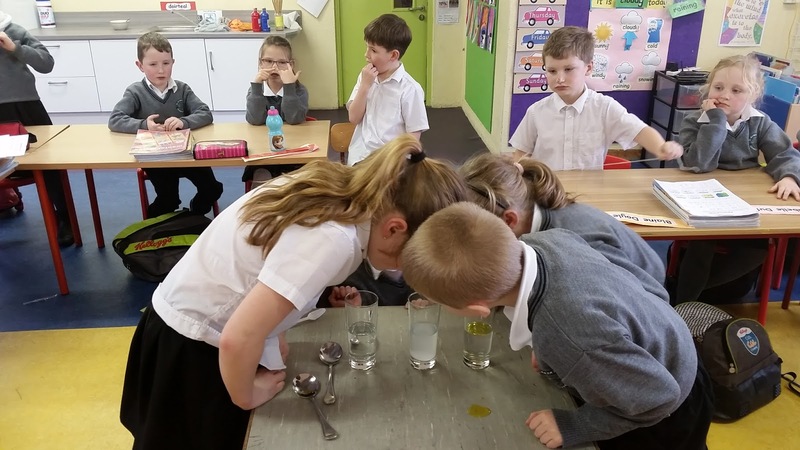 We also looked at mixing water with other substances. 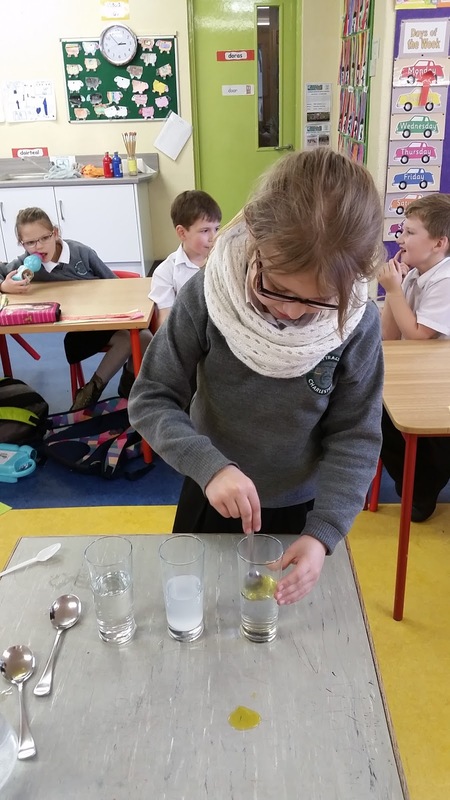 We chose salt, sugar and oil. 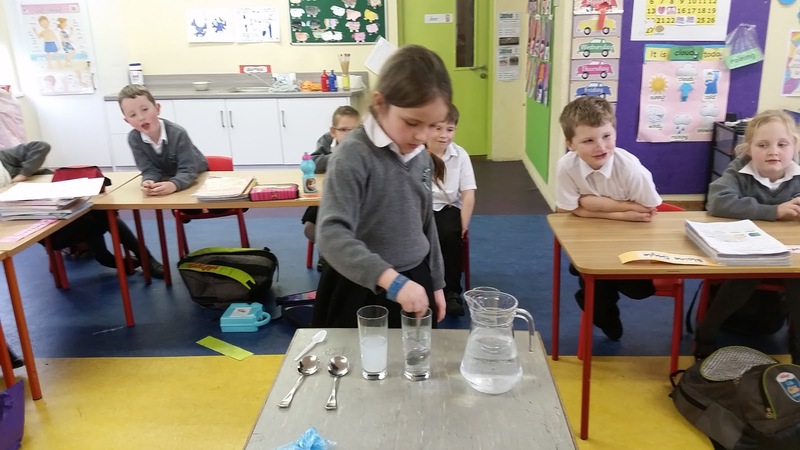 We made sure it was a fair test by using the same amount of water, a spoonful of each substance and by mixing the water the same number of times. 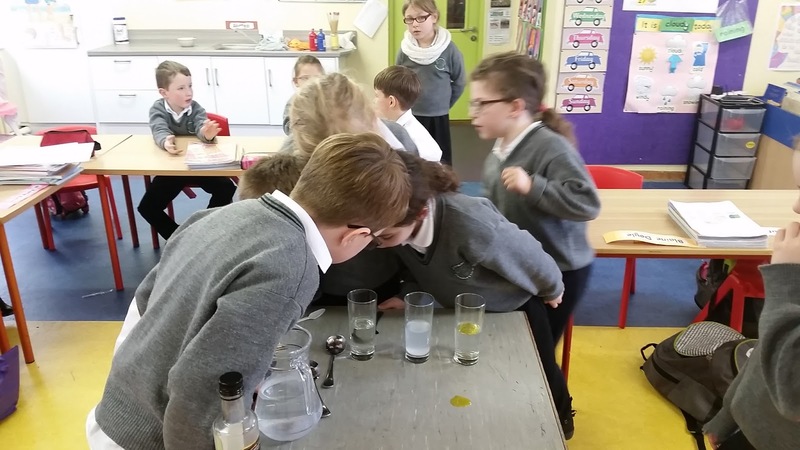 We found that the salt and sugar mixed with the water but the oil did not - it floated to the top of the water.